The FBI Student Academy kicked off the semester with another unique seminar over criminal intelligence and the use of social media. Now in its third year, the FBI Student Academy is a collaborative effort between UMKC faculty members and the FBI’s Kansas City Field Division. The program gives students the opportunity to attend lectures from experts in the field and ask questions. Each seminar focuses on a different topic in the criminal justice field. Previous seminars have included topics such as domestic terrorism to gang and violence-related crimes. Tuesday’s speaker, Intelligence Executive of the FBI Trish Sola, gave students an in-depth understanding of assigned jobs on the FBI’s Social Media Exploitation Team (SOCMET) and taught students about different techniques they use to uncover crime. 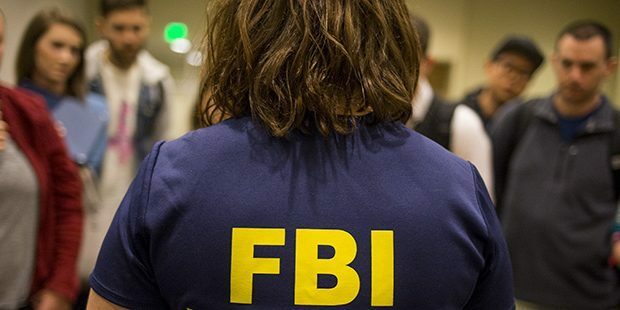 These tasks range from knowing how to use computer tools available to the public and those specific to the FBI, training individuals both inside and outside of the FBI and providing a range of expertise. Sola also prepared students on how to be safe with their personal information online. She highlighted the importance of making sure electronics users keep their software updated and stay aware of privacy settings on various social media platforms. She also encouraged students to be aware of what users choose to like or retweet and its implications throughout the course of a criminal investigation. Sola spoke about a real case study and gave students the same initial information the FBI received on a case. She then prompted students to think about how they would gather clues to solve the crime. The meeting closed with a short Q&A session, allowing the students to ask questions over the subject of Tuesday’s lecture and other topics.